Thanks to the editors and publishers who have supported my work. Zeppelin. Gibsons Landing: Nightwood Editions. April 2013. 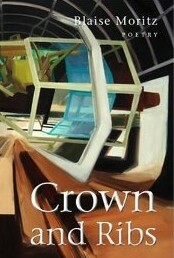 Crown and Ribs. Toronto: Fitzhenry and Whiteside Ltd. April 2007. Salach, Darryl. 2013. 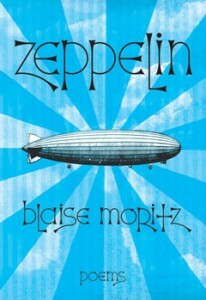 Blaise Moritz – Zeppelin (an interview). The Toronto Quarterly, June 10. Cummings, Dorothy. 2007. Catholic poet captures essence of the city. Catholic Register, December 21. “Dancing rhythmically, mechanically”, “Dreams of static and cyclopean walls”, “We are the outer space”, “Calling planet earth via the wireless and the telegraph”. The IV Lounge Reader. Ed. Paul Vermeersch. Toronto: Insomniac Press, 2001. Calling Planet Earth Via Wireless and Telegraph / We Are The Outer Space. Chapbook published in April, 2000 by Junction Books. Note: Queen Street Quarterly ceased publication with the Spring 2005 issue. Misunderstandings Magazine ceased publication with issue 16. I also wish to acknowledge with gratitude the financial support provided to me by both the Canada Council for the Arts and the Ontario Arts Council through their programs for writers.